Investigators from Rock County, Wisconsin, are one step closer to solving the mystery surrounding the death of an unknown teenager thanks to Smithsonian scientists. 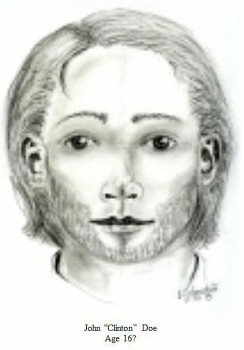 Artist’s sketch issued by the Rock County Coroner’s Office showing what John Clinton Doe may have looked like at age 16. 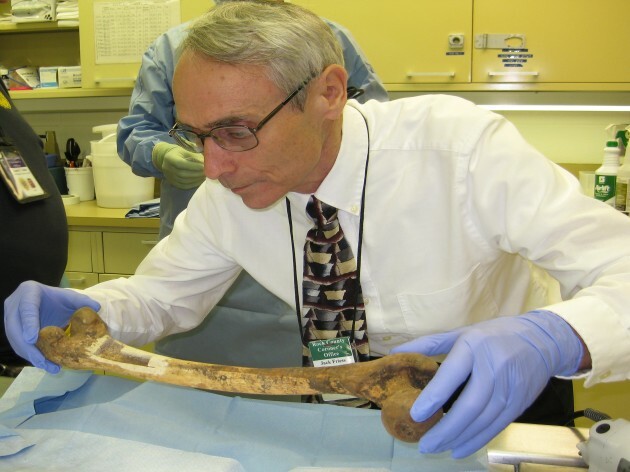 Christine France, a physical scientist at the Smithsonian’s Museum Conservation Institute, was asked to help pinpoint the region where a white male whose skeletal remains were discovered in 1995 on the bank of Turtle Creek near Clinton, Wis., may have grown up. Police estimate John Clinton Doe, so named because he was found near Clinton, was about 18 years old and had been dead for about one year before his remains were discovered by hunters. He was wearing only one Nike Air sneaker and a T-shirt bearing the logo from the English rock band Venom. France was asked by Wisconsin police “to analyze the stable isotope values in the femur bone from the unidentified individual,” she says. Oxygen isotope values embedded in bones can indicate the geographical region where a person lived. Harnessing the power of stable isotope analysis, France was able to help police narrow their search to a teenager who likely once lived in Wisconsin, Michigan or Minnesota. While the cause of his death remains undetermined, investigators believe this new information will greatly assist in identifying the boy and hopefully resolving the case. Police have already assembled a long list of missing persons who have been ruled out as this individual. Isotopes are variants of a particular chemical element. While all the isotopes of a given element, like oxygen, have the same number of protons in each atom, the number of neutrons differs between them. This changing number of neutrons alters the atom weight of each isotope allowing France to calculate an isotope ratio value based on the combinations of atoms of differing weight. “We created a fine powder from a sample of the individual’s femur bone. 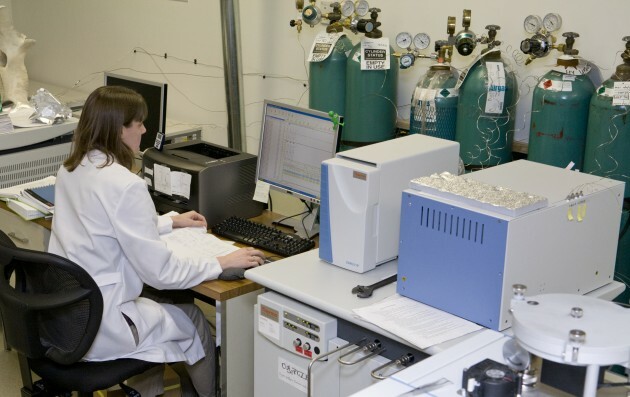 This allowed us to extract the oxygen isotopes from the bone by separating them into their different weights using our stable isotope mass spectrometer,” France said. Many different combinations of oxygen isotopes exist in our environment and our bodies. These variations found in the bones can help scientists identify a likely geographic location from which the individual came, based on known variations in oxygen isotopes found in drinking water. Oxygen isotopes are not the only elemental tools in France’s scientific toolbox when it comes to discovering the historic background of human remains. Isotopes of carbon and nitrogen also can reveal information about the diet and demographics of an individual. These indicators, however, are not as useful for modern forensic cases. Although called upon every now and then to help police with modern mysteries, France and her colleagues specialize in developing techniques to assist archeological investigations. 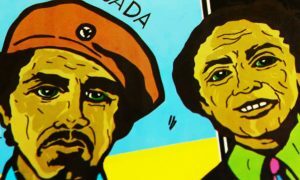 In their work to find the best bone isotope indicators for region of origin, racial identity and social class, France and her colleague Douglas Owsley found that these techniques can give us insight into key moments of our history. 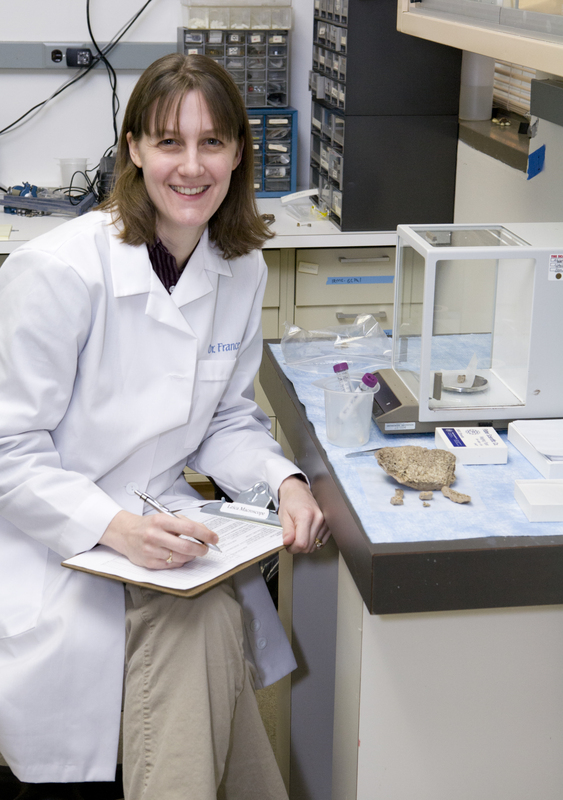 Owsley is a forensic anthropologist at the Smithsonian’s National Museum of Natural History. While investigators may never be able to put a name to some historic or modern day human remains, scientific techniques like stable isotope analysis now allows them to get a better understanding of a person’s background, which could result in a better chance of solving the mystery.